Condos vs. Houses: Which Is Better to Buy? Aspiring homeowners might gravitate to condos over houses for plenty of reasons: Condos offer less upkeep, look more up to date, and seem to be more affordable. However, the economics of houses may work out better, especially when it comes to selling down the road. Condos also demand certain accommodations when it comes to everyday life, as well. A condo (short for "condominium") is a private residential unit within a multiunit building, project, or community. While the residences are usually apartment-like—they share walls—they can also be semidetached, like townhouses, or even fully detached, too. The residences frequently share common areas, facilities, and amenities, both external (yards, swimming pools) and internal (laundry rooms, garages). 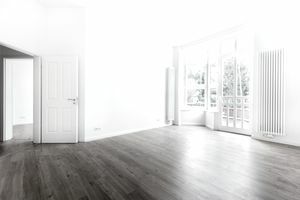 There are two main types of condos: those that were simply converted from rental apartments and those that were originally built as condominiums—sometimes in a brand-new structure, sometimes in a renovated or configured commercial or industrial space. If you can't see the difference, it probably won't matter for future values. Often, however, the rental-conversion type is older and can look or feel cheaper—both of which suggest the need for repairs and more upkeep in the future. A big factor in condo life is the condominium association, run by a board of directors. Responsible for maintaining all the common areas, services, and amenities, it's comparable to a neighborhood homeowners association (HOA). However, because these commonalities in condo ownership are so significant, condo associations are much more powerful. Condo owners pay regular monthly or quarterly fees to their association. To make a fair comparison price-wise, buyers should consider the amount of a condo's association fees upfront, and equate that sum to an increased mortgage payment. For example, let's say your condo fee is $250 monthly. At an interest rate of 4.5 percent, that could be an additional payment on a principal loan sum of $50,000: $50,000 at 4.5 percent interest over 30 years equals an additional principal and interest payment of $253.34 each month. What this means to you is that without a condo fee, you could bump up your price range by $50,000, buy a home, and pay about the same amount every month. In other words, if you were planning to buy a $250,000 condo with a monthly $250 fee, you could spend the same amount and instead buy a $300,000 house. Much depends on the amenities that the condo association covers, however. For example, if your fee pays for vital services such as water and trash collection, it includes expenses you would have to pay anyway if you bought a house. Several lifestyle-related advantages come with owning a condo. State-of-the-art features. If you have your heart set on granite counters, stainless appliances, and an open floor plan, a newer condo usually has them. Luxurious facilities, features, and grounds. Spas, clubhouses, BBQ areas, tennis courts, jogging trails, and rec rooms are among the amenities that condos offer residents. Security. Not only are other people residing in close proximity, but complexes are often gated or staffed with guards and have sophisticated security systems. Concierge services. Many condo complexes have doormen and desk people, along with a custodial staff. Less maintenance and upkeep. No mowing lawns, raking leaves or replacing broken windows. You are generally responsible for only your interior. The downsides to condos are those often characteristic of apartment life or communal living. You are often too close to your neighbors. Sounds and smells can travel through adjoining walls. Your condo fees generally continue to rise. If the building is older, it could require more reserves to pay for roofing, plumbing, and exterior maintenance, which tends to mean higher fees and sometimes special assessments. There can be a Big Brother aspect to living within a community and conforming to rules you did not create. For example, you might be restricted on the number and types of pets you can have, or where you can smoke. No matter the layout, a condo is not a house. Most condos are single-story apartments. That means the overall square footage of a two-bedroom condo might be smaller than that of a two-bedroom house. Certainly, it may feel more compact—you won't have the hallways, windows, stairways and other features that impart a sense of space to a residence. Also, a condo usually won't give you a private garden to tend or a private driveway in which to wash your car. You should look into the future and consider the marketability of your unit when you wish to move on. One of the drawbacks to buying a condo is that your unit will never be worth more than an identical unit, plus upgrades. Your investment relies on surrounding sales. If another owner sells at a cheap price, that might affect your market value. The condo complex might not qualify for an FHA loan, usually, because the occupancy percentage of owners vs. tenants exceeds 50 percent. As a result, a purchaser would need to pay cash or obtain a conventional loan or mortgage. This restriction could affect the number of available buyers when it comes time for you to sell. Do You Really Need a 20% Down Payment to Buy a Home? When Is the Best Age to Buy a Home?